This is like fools gold! The texture, flavor, and color is so close to the wheat alternative you won’t even know your eating a veggie. Healthy isn’t so hard at all. Add Cauliflower and sauté for 5 minutes or until hot throughout. Add Sea Salt and Pepper and toss well. 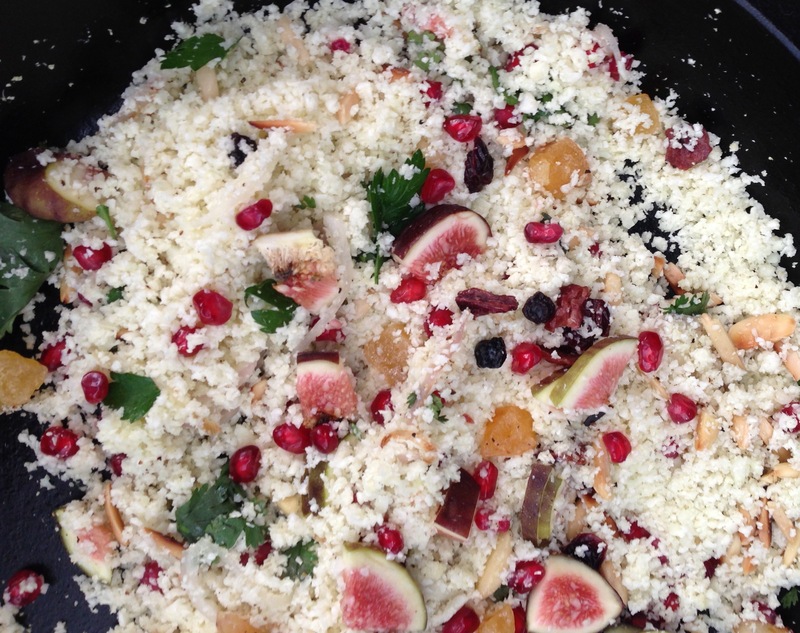 This entry was posted on Wednesday, October 9th, 2013 at 4:22 am	and tagged with cauliflower, dried apricots, figs, gluten free, healthy, low fat pasta substitute, paleo, pomegranate, primal, raisins, side dish, sultanas, toasted almonds, vegan, vegaterian, veggie and posted in Category. You can follow any responses to this entry through the RSS 2.0 feed.